Due to the constant uncertainty about validity of the Add-on Vector maps for Locus, we would like to clarify the current situation. The add-on Vector maps was valid for limited time (since 2.9.2011 – 30.6.2012). Since 1.3.2012 we finished possibility of the purchase, so every user could use the add-on min. 4 months. After the expiry date, it means the date 1.7.2012, we removed the add-on Vector maps from the Google Play forever. Since 1.3.2012 we distribute the Vector maps actually via Locus Shop by the purchasing system In-App billing. I am a user of the add-on Vector maps. What can I do now? Remove Add-on Vector maps from settings of your device (add-ons are in the same list as regular applications). The Vector maps already downloaded by the add-on, you can use in your device without changes. For new maps or updates old maps, visit our Locus Shop directly in the app Locus, where you can purchased “credit” for Vector maps. What is it “Credit” for Vector maps? What do I get? You can purchase data for downloading Vector maps as “data subscription”. After purchase (for example 2GB), you own data for downloading of the Vector maps, not specific vector maps of individual countries. More informations about downloading Vector maps after purchasing of the Vector maps you find here. We hope, you will be satisfied with this system of distribute of the vector maps and functionality of the Locus Shop, which offer many more maps and items for using in the Locus. All of the market comments are complaining about this too. People, have a look, its not a money grab! its dirt cheap. They are just trying to recoup some costs. $1.27 for me to download 2GB of maps… well I downloaded the map for my province (Canada) and its 16MB. Unless I plan to “browse” the planet, that’s not very expensive at all. And if you really cannot afford $1.27, you probably won’t need the maps because you can’t afford to travel. Also, you can make them yourself for free! For me, time is money, and I would gladly pay $1.27 to save myself hours. mam technicky problem. Potrebuju si stahnout nove vektorove mapy UK, zaplatil jsem si kredit v Shopu a pri pokusu o stahnuti me to neustale varuje, ze add-on neni validni. Pochopil jsem, ze to ted je delane jinak a chtel jsem addon podle doporuceni odinstalovat, ale NIKDE ho nemuzu najit. Ok, sounds better – so the vector map addon is NOT needed to display or use any vector maps and it’s only purpose is to DOWNLOAD vector maps from somewhere? Exactly! To download maps that we generate and store for distribution on Amazon servers. It have nothing to do with Vector maps functionality in application! Guys you probably understand it wrong, so I’ll try to clear it a little bit! 1) there are no limitations in using vector maps. You can simply create own maps as described in MapsForge, you can simply use already downloaded maps, you can download and use whatever maps you want! There are NO LIMITATIONS. 3) to sumarize it – you don’t have to pay for maps! You can use maps you already have! If you’re lazy and don’t want to fight with Osmosis, you may pay 1€ for 2GB and use simply system that is integrated in Locus. And you don’t pay for OSM data, but for stuff around. If this means I can no longer use vector map files downloaded from mapsforge in the future, I totally agree: This is a strong dislike. I do not know what type of vector maps you sell on the Locus shop, but it it is OSM based material, I’m not even sure if that will not violate the OSM license… Anyhow, Locus has been a very nice software so far and I would have been willing to pay more for the software itself or possibly pay for a vector maps addon – but I’m not willing to pay for a map subscription to data I can have free legally on the web. It seems that you just want to get money from the users twice. Do You really think, that someone will be satisfied by this solution? 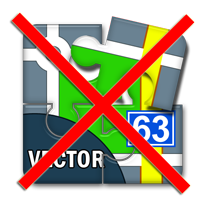 When I have purchase Vector addon, why didn’t you’ve mentioned, that it will be useful just for the limited time? it is not our intention to get money from our users twice. The Vector maps aren’t a source of our main income. There is original text of the Add-on Vector maps, where we informed our users about limited validity.